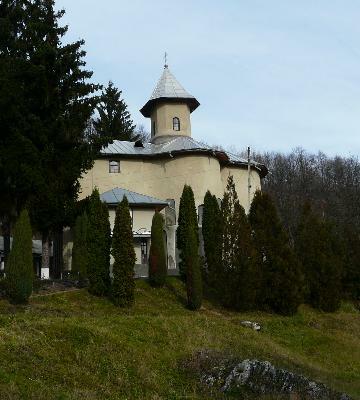 The monastery was raised in 1777, during the time of prince Grigore Ghica III, near a healing water spring. 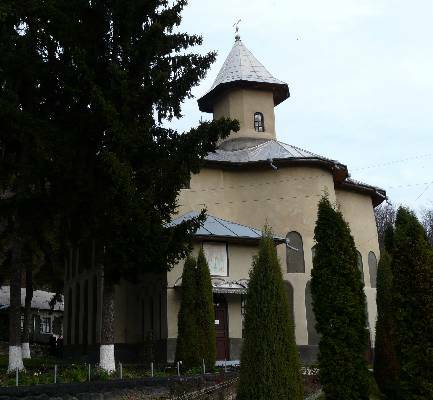 It was built on the property of brothers Andronache and Teodor Rudi (Rudea), with financial support from merchant Semion Donciul from the town of Movilău in Romanian Transnistria. 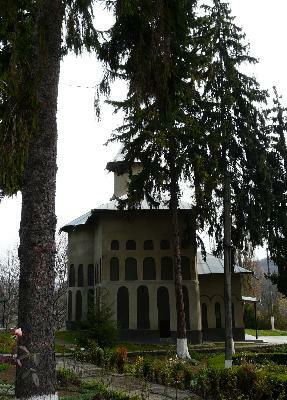 The monastery is located in the village of Rudi, in the rayon of Donduşeni, inside the peisagistic scenery reserve Rudi-Arioneşti. 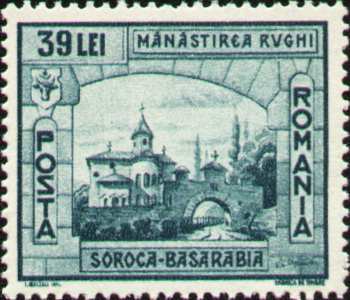 In 1828 the monks left for the monastery of Călărăşauca, being replaced by nuns from the monastery of Sărătura in the county of Hotin. 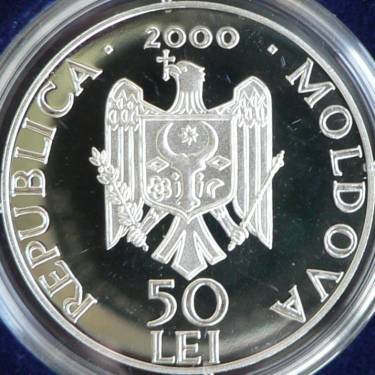 The coin features the Holy Trinity church, built in stone in 1777, a monument of traditional Moldavian architecture, one of the few churches in eastern Moldavia that kept their original Moldavian architectonic style. Closed in 1846, it is reestablished in 1921. Closed again in 1940 by the Soviets (here was established an orphanage and a sanitarium for children), it is once again reopened by monks in 1992. Since 1999 it is once again a monastery of nuns. 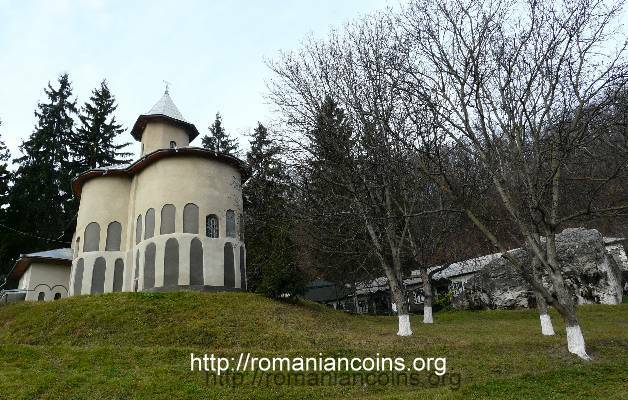 In the locality of Rudi lies the first monument in the Republic of Moldavia to be protected by UNESCO and passed in the world patrimony (and the only one until today - 2007). It is a geodesical point of the meridian arc of astronomer Friedrich Georg Wilhelm Struve. The Struve arc has a length of 2820 kilometters, stretching from Hammerfest in Norway over to Izmail (also in Moldavia, today on the territory of Ukraine). The 250 geodesical points served for determining the length of a segment of terrestrial meridian. 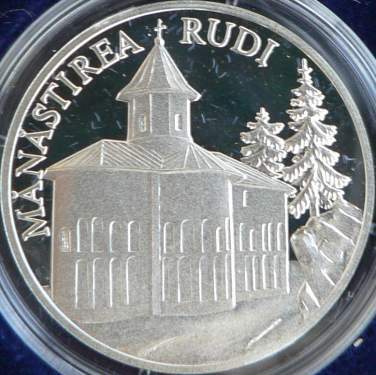 In 2006 a new geodesical monument was raised, and the road to the village and monastery of Rudi was mended occasioned by this.